Who are the ‘Blogging Friends’? We are Stampin’ Up! demonstrators all across the U.S. and Canada. Most of us haven’t met in person, but love Stampin’ Up and want to share with you! Please join us on the 1st of every month to see what wonderful things we have created! Each month we’ll have a different theme; this month it is Sale-A-Bration! It’s been a busy month and I haven’t had as much time to play with the SAB items as I had hoped, but today I have a set of cards here for you that was so quick to make! I used the SAB set, So Very Much. 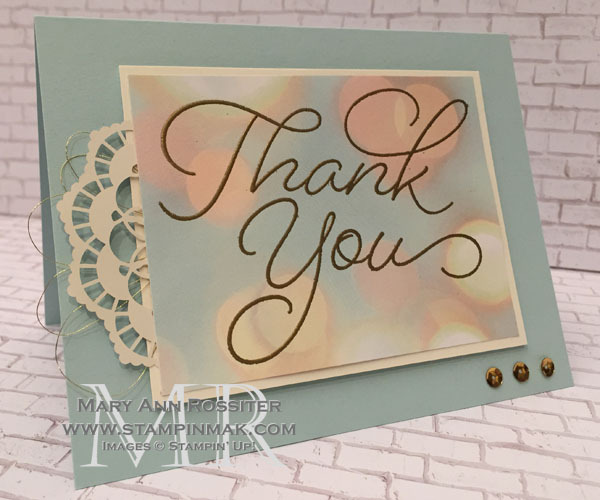 It’s the kind of set where the sentiment can be the entire card – super easy to do! I used the Gold embossing powder with Versamark directly on the DSP, and layered it on Very Vanilla. Off to the side is one of the Lace Doilies with some Gold Metallic Thread. Some of the gold sequins have been added for a little bling to finish them off. What’s even better, if you join my team you can pick 2 additional FREE stamp sets with your starter kit, ANY stamp sets from the catalogs, as your SAB treat! Contact me for details, or check it out on my website here! Now…. Please take the time to hop on through the rest of the Blog Hop today, you will be heading over to Tammy, and I hope you have fun looking through all their projects, too! Click on the image below, and you’ll be taken directly to Tammy’s post, the next blog in the hop. Keep clicking on that image at the bottom of each blog post, and you’ll hop through all of the participating blogs, back to where you started! If you’d prefer to hop about at your leisure, you can click on the individual links for each blog. Happy Hopping! 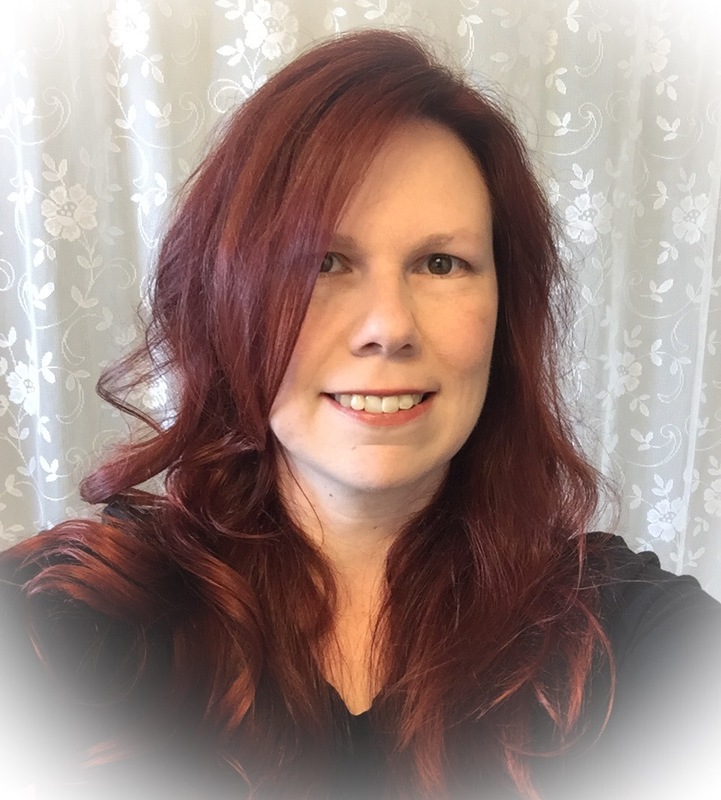 This entry was posted in 2017 Occasions Catalog, Blogging Friends Blog Hop, Sale-a-Bration and tagged #bloggingfriendsbloghop, DSP, embossing, SAB, thank you. Bookmark the permalink. Beautiful cards! I love the doily peeking out the side 🙂 Nice touch! 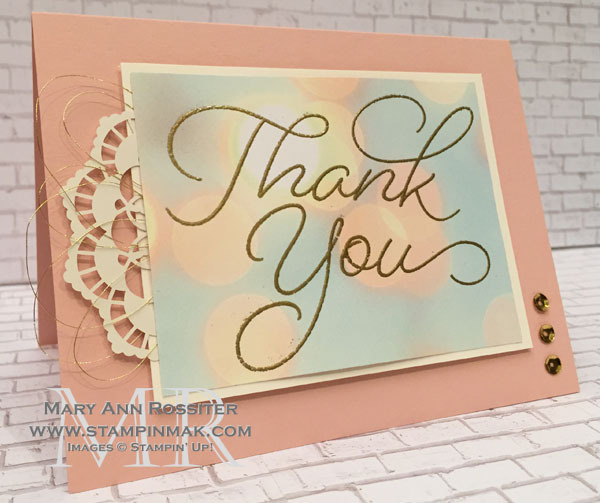 Love your cards Mary Ann, Simple and elegant! Beautiful! They’re so soft looking. I really like how you used the doilies too! Mary Ann, what a beautiful way to show off that pretty DSP!